If the inner door handle is pulled when the door is locked, the door will unlock and open. If the inner door handle is pulled once when the door is locked, the door will unlock. If the inner door handle is pulled once more, the door will open. 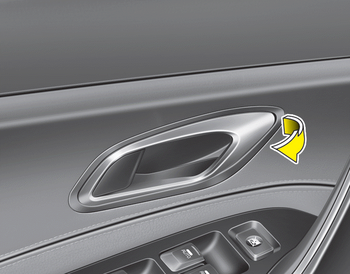 Do not pull the inner door handle of driver’s(or passenger’s) door while the vehicle is moving.